The LED lighting creates a stunning “curtain of light” as the water cascades into the spa. 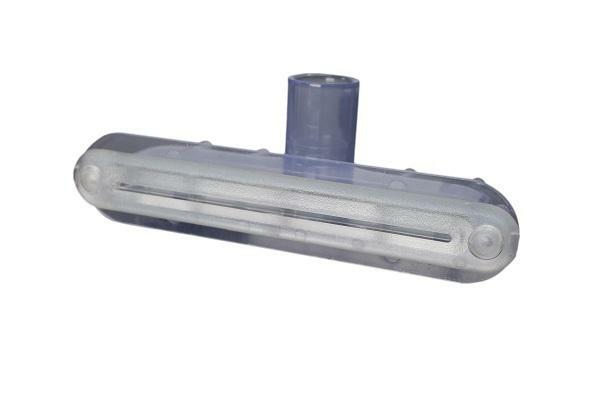 This waterfall, which has adjustable water control, flows over and down the filter area. 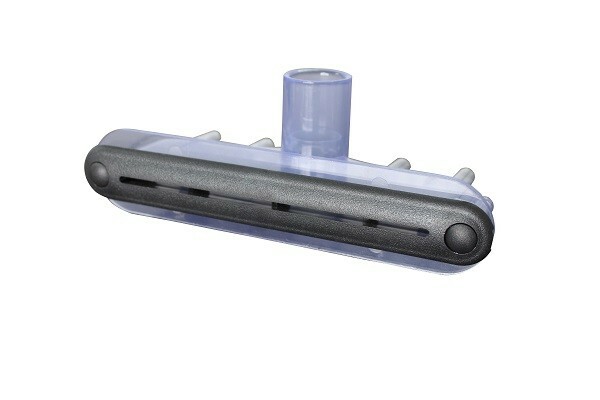 This is the 6" low profile aqua fall in transferant. It creates a mini waterfall effect. It consists of a simple design that requires less parts, has a low body profile, 1" Slip Intake, and 4-15 GPM. It creates the most relaxing environment like no other with color therapy and the soothing sounds of falling water. Listen to the soothing sound of falling water while you relax with a powerful massage. The 6-inch Cascade water feature, adds a beautiful, soothing touch to your spa. Optional mood lighting is available with the addition of an LED light system. Classic gray and black escutcheons are available.